Globes evoke thoughts of travel, adventure, and endless possibilities. 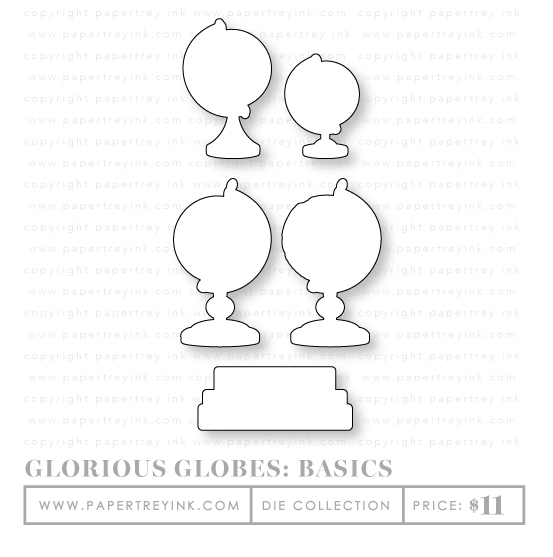 Glorious Globes Basics is inspired by those ideas as well as the recent trend of beautifully decorated globes. Pair this set with the coordinating monthly Glorious Globes mini series to create projects to say bon voyage, wish congratulations to a recent grad, or simply appreciate a fun, map-inspired motif. STAMP DETAILS: This stamp set comes on one 4 x 6 acetate sheet. The largest assembled globe (complete with stand) measures 1 ⅓” wide by 2 ¼” tall. The medium assembled globe measures just over 1 ⅛” wide by 1 ⅞” tall. The smallest assembled globe measures just under 1” wide by 1 ⅜” tall. The stack of travel books measures 2” wide by ⅘” tall. 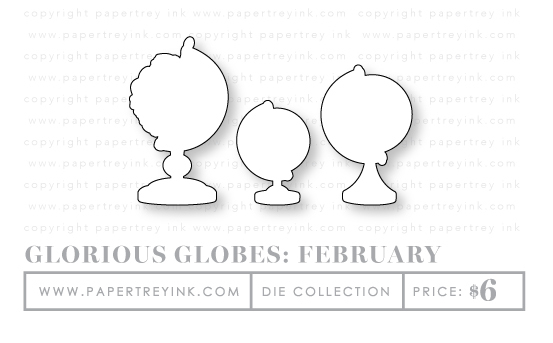 Glorious Globes: February coordinates with the Glorious Globes Basics stamp set. Use these floral globes to add spring flair to all of your Glorious Globes projects! STAMP DETAILS: This stamp set comes on one 3 x 4 acetate sheet. The fully assembled flower cluster globe measures just over 1 ⅛” wide by 1 ⅛” tall. The “Earth laughs…” globe measures 1” wide by 1” tall. The fully assembled single flower globe measures just under ⅞” wide by ⅞” tall. Each of the Shape Shifter dies consist of three different dies that can be interchanged with the other similar shapes within the Shape Shifter collection. New Shape Shifter sets will be introduced each month throughout the year. 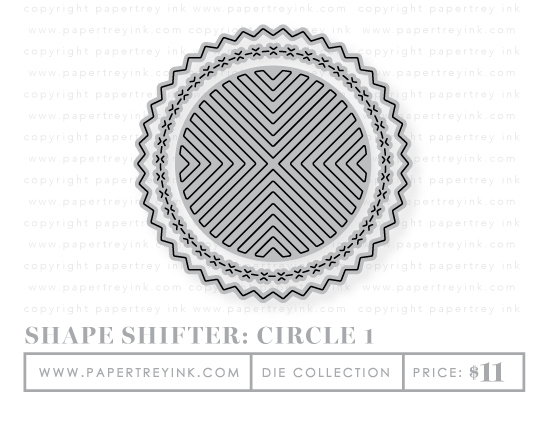 Mix and match the Shape Shifter: Circle 1 interior chevron design, stitched border, and outer pinked edge with the other Shape Shifter Circle dies in the series for lots of design options! Lilies symbolize humility and devotion. They come in so many varieties, ranging from soft, subtle hues, to bursting with vibrant colors! Stamped in softer colors, these lilies are perfect for sympathy or encouragement cards, while stamping them in bright hues will make gorgeous birthday, summery projects, and more! Pair them with your favorite sentiment set and you’re sure to bring joy to nearly any occasion…without any allergy flare-ups! STAMP DETAILS: This set comes on a single 4×8 acetate sheet. The large double lily cluster measures 2” wide and 3-1/4” high, assembled. The large single-stem lily measures 1-1/2” wide and 3-1/4” high, assembled. The small single-stem lily measures 1” wide and 1-7/8” high, assembled. The larger individual bloom measures 1-1/2” wide and 1-1/2” high. The smaller individual bloom measures 7/8” wide and 1” high. The individual bud measures 1/2” wide and 7/8” high. DIE DETAILS: Contains a total of 8 dies. Live with kindness! The Words to Live By series highlights a different word each month, focusing on a positive quality or outlook on life. 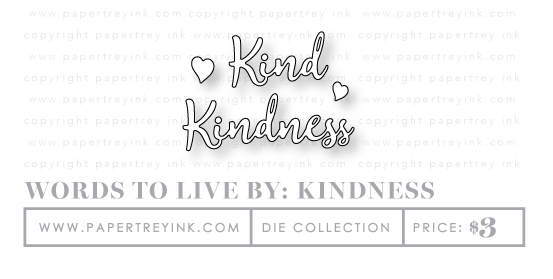 This set features two main words — Kind and Kindness, along with several accompanying sentiments. It’s perfect for creating cards to express your gratitude, or just to send a little kindness in the form of a handmade card. STAMP DETAILS: This set comes on a single 3×4 acetate sheet. The word “kind” measures 1-3/8” wide and 3/4” high. The word “kindness” measures 2-3/8” wide and 3/4” high. The “thanks for your” measures 2” wide and 1/4” high. The “you’ve been so” sentiment measures 1-3/8” wide and 1/8” high. The larger heart measures 3/8”.